Little, Brown Books for Young Readers, 9780316451260, 192pp. While the cats are away, the other cats will play! Flight Director Maisy is off on her first vacation in years, and World's Best Scientist is looking for a secret vacation of his own. But while the party picks up on Earth, the CatStronauts are trying to get all of their work on the International Space Station done in record time. So when disaster strikes in space, the CatStronauts will have to fix everything without their trusty support team at Mission Control. Drew Brockington has flown a Space Shuttle, repaired the International Space Station, and served in Mission Control; all during a week at Space Camp. 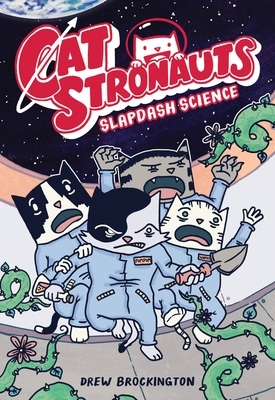 CatStronauts is his first series. He lives with his family in Minneapolis.